Hey everyone! 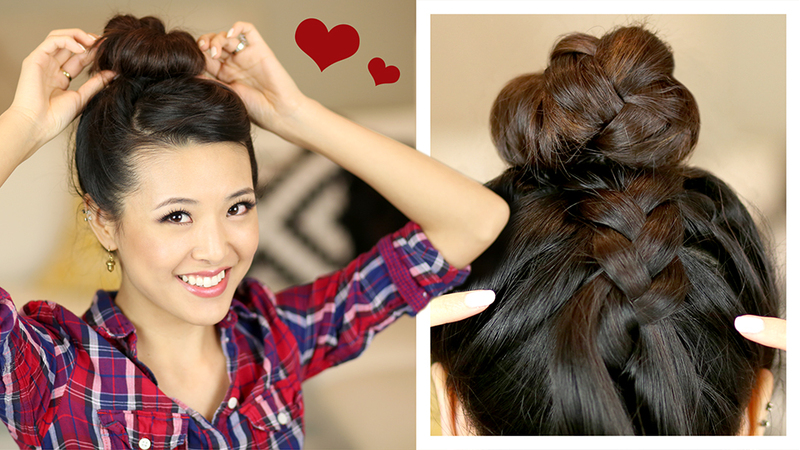 Today I wanted to share a cute, everyday hair tutorial with you that is a twist on your typical sock bun. This look incorporates a french braid into both the back of the head and the bun itself which gives it a more elevated look. The front is twisted into a retro-style fringe which brings the casual look together. Check out the look below! From the back you can really see how french braid lays against the head and up into the bun. I'm so excited to share that I'll be partnering with Pantene over the next year to bring lots of hair videos to you so I hope you guys enjoyed this tutorial and let me know what hair tutorial you'd like to see next! Readers, have you tried a sock bun? What is your way of elevating a simple look? Let me know in the comments! Jen I love the look. Where did you get your top from? That is such a cute look! Love it! Practice definitely helps a ton, haha. Some days you get it perfect and other days you have multiple fails. XD Thank you!! Yeah french braiding your own hair can get tricky. You feel the soreness in your elbows! I've never seen anything like this before!! I totally love it, thanks for sharing this with us! As Cachoo said in the comments, I fing french braiding my own hair really tiring also..
u look so pretty here! Love this hairdo! Love your site. How do I subscribe to get the latest update ? Any newsletter? I can't wait for my hair to grow longer so I can do things like this!!! It's gorgeous! Congrats on your partnership with Pantene! I'm so happy for you! Btw, what did you use for your lips in this tutorial? 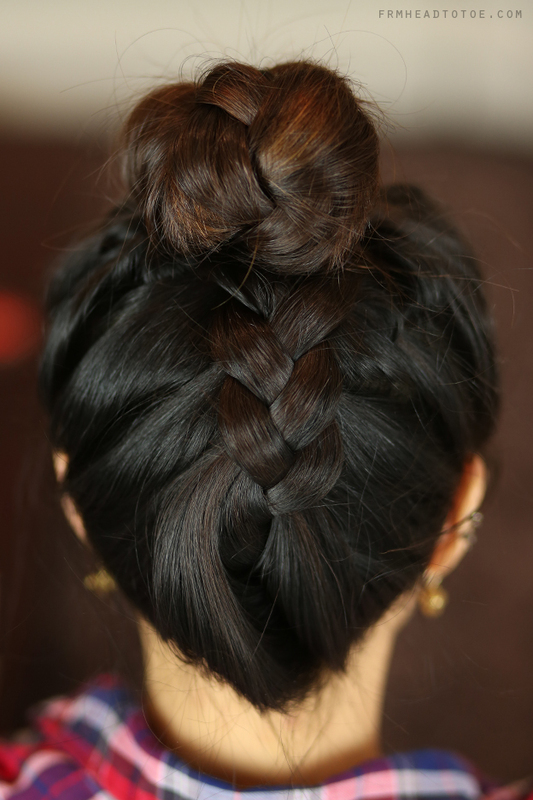 The twist in the back and the braid on the top is such a great match, it's elegant yet playful! This is absolutely gorgeous, I will have to try this soon! OMG, I've seen this hairstyle at the Birchbox event during NY's Fashion Night Out a couple of years ago, and I've always wonder how it was done. Thanks, Jen! Would you be able to do more retro hairstyles and makeup tutorials? Much appreciated!